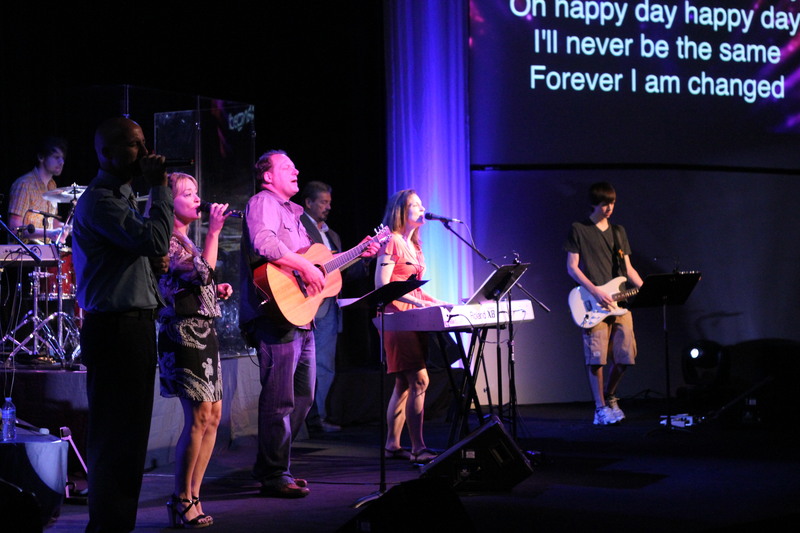 – Penny Simms and the worship team led us in heart-felt, authentic worship. So refreshing! – Beth Allison was hilarious as always making announcements. – We took communion together to remember, celebrate and proclaim Christ. – We had twelve people baptized in water! – We had our largest attendance in the two services since Easter Sunday! – Jesus was lifted up, and we left the service more in love with Him. – Newcomers Meeting next Sunday (August 14) at 5:00 p.m.
– Volunteers Dinner at next Sunday (August 14) at 6:00 p.m.
– One Sunday on August 21, in both our 9:00 a.m. and 10:45 a.m. service. – Daniel Robertson’s Ordination Service (August 21) at 5:00 p.m.